A SERIAL thief with a fetish for women’s leather wallets, who has spent 17 years of his life behind bars, is back in jail for another three years for his latest stealing spree. 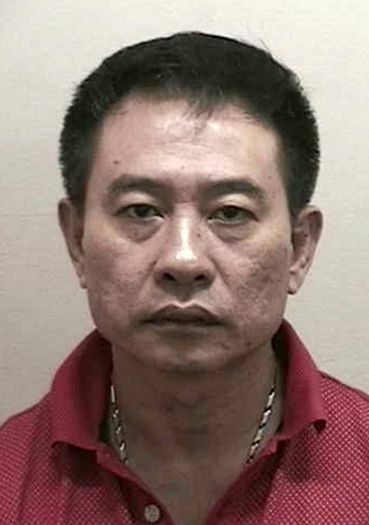 Low Ji Qing, 50, lost his appeal to the High Court on Wednesday to be given a lighter sentence for his most recent series of offences. Low has been in and out of jail since 1986 for theft. He was spared a prison sentence twice in 2011 and given probation. Shortly after he was released from prison, he stole a wallet and mobile phone from a woman’s bag in an unattended trolley at Giant hypermart in VivoCity. He claimed that he took the items out of frustration over a dispute he had with the boss of the restaurant where he worked. He was arrested and sent to the Institute of Mental Health (IMH), where he was diagnosed with fetishism, a sexual fixation on non-living objects – in his case, women’s wallets. In August last year, while out on bail, he stole the wallet of a woman who had left her handbag in a trolley while shopping at the Ikea furniture store in Alexandra Road. Low later placed the wallet back into the handbag but a passer-by who noticed him behaving suspiciously alerted the victim. A week later, he struck at the same store, taking a phone from the handbag of a woman while her attention was diverted. He was admitted to the IMH again. The prosecution said there was no causal link between his theft in the last two cases and his condition of fetishism. Low pleaded guilty to three theft charges in December and was given a three-year jail sentence. On Wednesday, he appealed for a shorter jail term, arguing that his condition had improved and that he had returned one of the wallets.